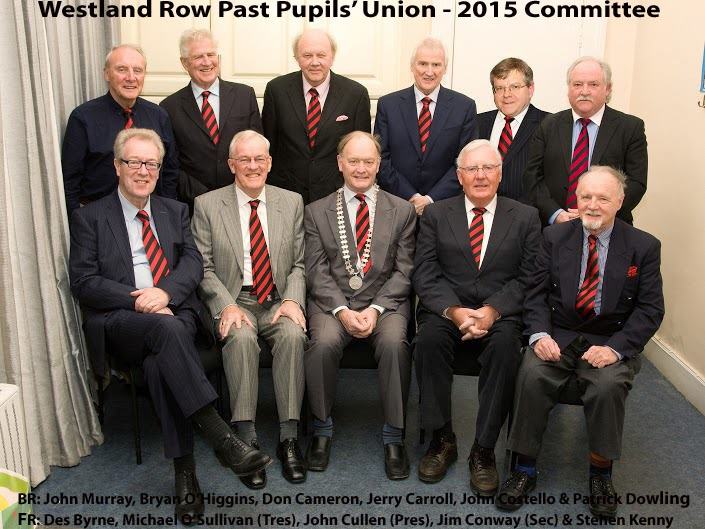 The members of the committee have had a very busy year, and 2016 promises to be just as interesting. The annual Mass for deceased past pupils of Westland Row CBS was celebrated by Archbishop Dr. Diarmuid Martin at St. Andrew’s Westland Row today, St. Andrew’s Day, November 29th 2015. All deceased past pupils, especially those who died during the current year; Ray Treacy, Paddy Finn, Michael Fagan and Jimmy O’Brien were prayed for during Mass. the congregation included the President of the PPU John Cullen and a good turnout of past pupils. The school was also well represented on the alter by Monsignor Dan O’Connor and Canon Patsy Fagan. Patsy is one of the oldest living past pupils and elder brother of Michael Fagan who died during the year.